The Apple Cider Century (ACC) is an annual one-day 15, 25, 37, 50, 62, 75 or 100 mile bicycle tour of the orchards, forests and wine country in and around Three Oaks, Michigan on the last Sunday in September. 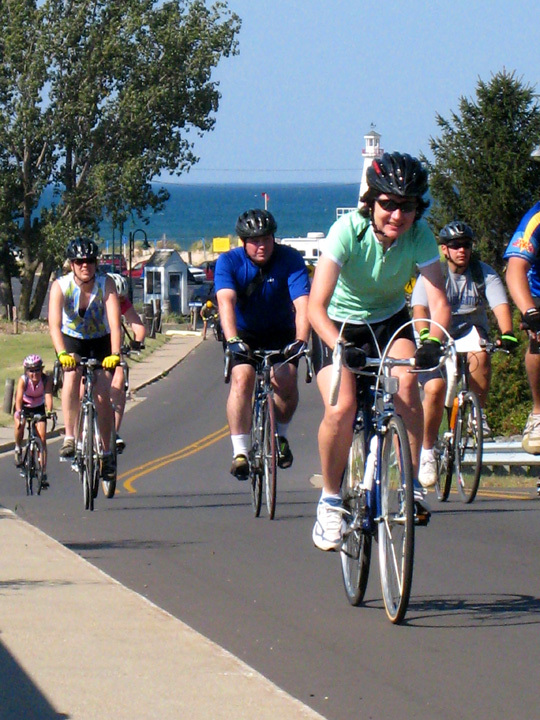 The ACC is a recreational and social tour for bicyclists. It is neither a race nor a test of stamina. It is intended that all participants ride the tour in a safe and intelligent manner. Apple Cider Century always occurs on the last Sunday of September. 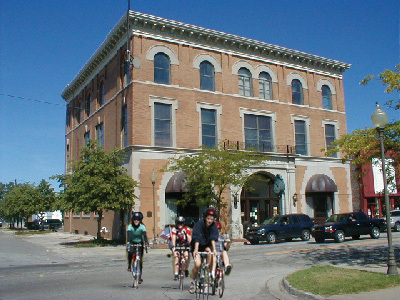 Since 1974, it has become the Midwest's largest one-day century event with over 5,500 cyclists participating last year. The ACC is sponsored by the Three Oaks Spokes Bicycle Club. Monies raised are used to finance the Apple Cider Century Tour, the Backroads Bikeway trails, the Bicycle Museum housed at the Dewey Cannon Trading Company, the League of American Bicyclists, Rails to Trails, and to help fund community youth programs and other non-profit organization fund raising causes. From September 1974 – 1979 the ACC tour was held within the Village of Three Oaks, located in Berrien County, Michigan, approximately 60 miles from Chicago and Kalamazoo. As our ride grew, we relocated 3 miles north to River Valley High School in 1980. After a 26 year hiatus, the ACC has returned to where it began. We’re proud of our town and look forward to having you as guests to enjoy all that we have to offer. The weekend of the Apple Cider Century provides many interesting events Saturday and all-you-can-eat breakfast and spaghetti dinner on Sunday. Come celebrate 40 years of touring! All would-be participants in the ACC must complete and return the entry form with appropriate fee and a self-addressed, stamped, business size envelope. This will assure a return of your confirmation letter, with directions and motel and campground information. Because we must limit entries, you must act promptly to assure yourself a place. Remember that more individuals wish to ride the ACC than can be accommodated. NOTE: Entries in ACC are limited to 6,000. Entry forms which are received after the tour is full will be returned with full refund. Please register early, there is no weekend of the ride registration! The registration fee includes: Route Map with Route Markings, SAG Wagons, High Energy Refreshments, Fanny Flag, ACC Mileage Certificate, Spaghetti Dinner and Saturday Ice Cream Social. NOTE: Children 12 and under are free when accompanied by a responsible registered rider. An ACC T-shirt is available for purchase for those interested in obtaining an attractive T-shirt with a new design each year. An order form is provided on the application. T-shirts will also be sold at the ride, but supplies will be limited. The sizes range from Youth Small (6-8) to Large (14-16) and Adult Small (34-36) to 3X-Large (50-52). This year’s shirt will be of high quality 100% pre-shrunk cotton, printed with a multi-color design on both front and back. NOTE: All pre-ordered shirts must be picked up by 1 p.m. on the Sunday of the ride, or they will be sold. Non-Rider I.D. Bracelet may be purchased for immediate family non-riders only. This allows non-riders to enter the Ice Cream Social and Spaghetti Dinner. Adult bracelet is $10.00. Children 12 and under are free. For a list of accommodations please click here or call the Harbor Country Chamber of Commerce at 269-469-5409.